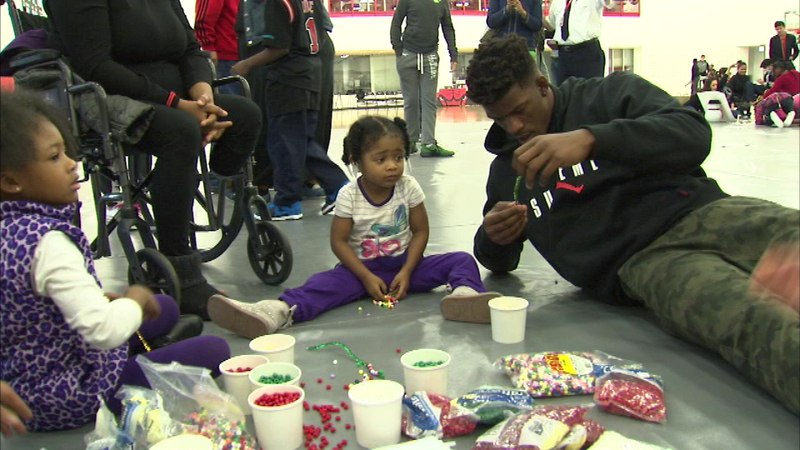 The Chicago Bulls hosted an All-Team Holiday Party for 25 local families Sunday. CHICAGO (WLS) -- The Chicago Bulls hosted an All-Team Holiday Party for 25 local families Sunday. Families from the Salvation Army and Ronald McDonald House Charities enjoyed the day at the United Center, as players helped kids to make Christmas cards and decorate ornaments. The families also got some time on the court.